Watch The Eichmann Show. Watch it if only for the original footage of the witnesses telling their stories of deportation and the camps. A man telling his tale. Reliving how he unloaded the corpses of those who had been gassed. Finding his wife and two children. Laying himself down beside them. Only wanting to be shot himself. If you have tears, then as you watch, you will weep. Eichmann didn't weep. The grainy old pictures show him watching. An occasional twitch. A smile? Certainly not a tear. In 1961, people around the world watched this footage. It was the first global televisual event. It irrevocably changed how we saw the Holocaust, understood Israel, explained evil. 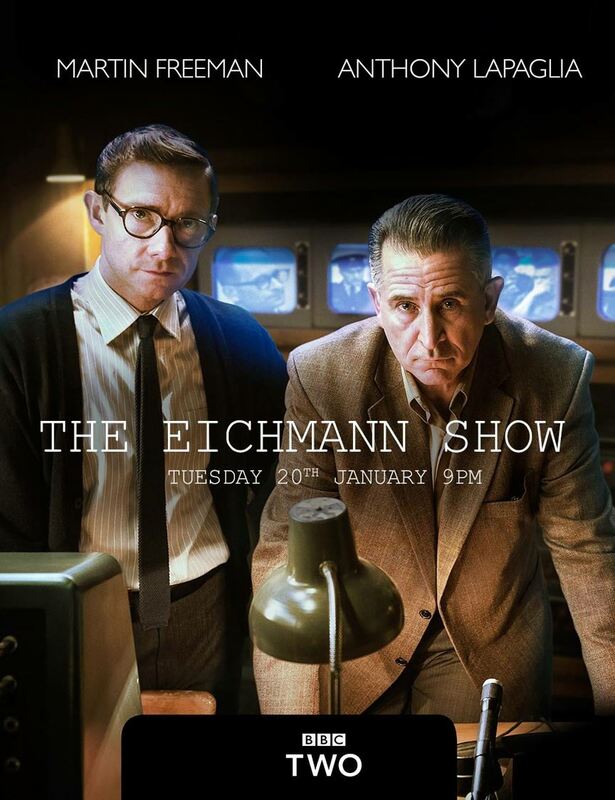 And The Eichmann Show is less about the Holocaust itself and Eichmann himself than about how the trial was televised. It is about the nature of representation and the struggles that surround it. The Eichmann trial involved many such struggles on many levels. For Ben Gurion, the Israeli Prime Minister who sanctioned the filming of the trial, the primary aim was to reshape the relationship between the Holocaust, the State of Israel and world jewry. For the first time, the victims were given a global stage on which to tell their stories. Hitherto, inside Israel as well as outside, they had been ignored and even silenced. A proud, young, martial state did not want to hear about Jews as victims. What is more there was always the suspicion that anyone who had survived must have done something disreputable for this to be possible. The victim always had a taint of the perpetrator. But the trial, itself theatrical, held in a theatre and then filmed for the world, was to obliterate these equivocations. Victims became witnesses, pointing to a Nazi criminal in court. The fact that the trial was in Jerusalem, and Eichmann was being tried by the Israeli State, constituted the Holocaust as primarily a crime against Jews. It legitimated the Israeli state as a haven for Jews. But more than that, it showed Israelis, Jews and the world, that Israel could protect its people and punish those who attack Jews, wherever they may do it. This, in large part, explains the fury directed at Hannah Arendt for her book Eichmann in Jerusalem which is, perhaps, the conduit through which the trial became so well known across the ensuing half century. This fury was less to do with what Arendt had to say about Eichmann himself than what she had to say about the Juderat — the Jewish Councils under the Nazis. These, Arendt argued, were complicit with Eichmann and his ilk. In effect, Arendt challenged the core representational politics of the trial. She portrayed the zionist establishment as the oppressor rather than the saviour of Jews. Her words threatened to unravel everything that the television pictures were designed to achieve. But, of course, that's not why we remember Arendt now — especially 'we' as psychologists. We remember her precisely for what she did say about Eichmann. We remember her dismay at Eichmann coming into the courtroom. Not a striking, sadistic monster governed by exceptional passions. Rather, an insignificant, ordinary man governed by mundane concerns. We remember her phrase 'the banality of evil' which then fused with the work of Stanley Milgram and overturned our understanding of how human beings are capable of inflicting great harm on their fellow humans. We retain the idea that the insignificant bureaucrat becomes a mass murderer by concentrating so much on the details of the job, that he or she overlooks the consequences. But this view, too, is bound up with film and image and representation. At the start of The Eichmann Show we see a photo of Eichmann in his SS uniform: confident and arrogant and powerful. Looking straight into the lens, a sardonic smile on his lips. That is the picture on the cover of David Cesarani's 2004 biography Eichmann: His Life and Crimes which explodes the myth of Eichmann as mere pen-pusher. The prosecutors understood the power of imagery well, and for a while considered forcing Eichmann to wear his uniform well. But Eichmann and his lawyer were equally conversant with the politics of representation and made a deliberate decision to adopt a mild and unassertive persona in the way he looked, in the way he stood, in the way he spoke. It is argued that Arendt bought his act. She left early in the trial, well before the witnesses gave their testimony. Had she stayed perhaps she would have painted a very different picture of him and of the human capacity for evil. The Eichmann Show points to all these levels of representation, and to others besides. Is the narrative of the trial to concentrate on the victim's experience or on Eichmann's (in)humanity? What does that mean in terms of which, from the various cameras covering the trial, is to be broadcast? What does it mean in terms of how the shot is framed, how close we zoom in? In part, these are technical questions of film production. But they are equally critical questions in the creation of any narrative and hence our understanding of ourselves and the world we live in. At one point in the film, we watch as the television crew cover Eichmann's reaction in the courtroom as images of the death camps are played. In other words, we are seeing a film about people filming a man's reaction to film: a representation of a representation of the observation of a representation. Where is the real story in all this? There is none, except for the labours of each editor and each level to constrain our attention, construct our understanding and hence create our reaction. There is one final issue to which The Eichmann Show alerts us. That is, we often think that science and scientific understanding proceeds through our academic outputs, our books, papers and chapters. But the forms of representation which dominate popular culture — particularly film — are equally important. 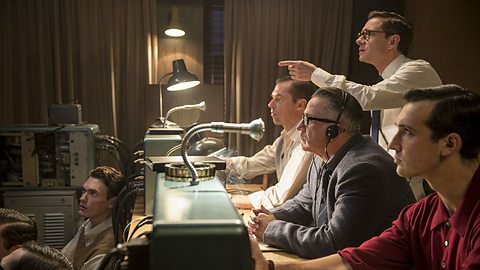 Our understanding of the Holocaust (which, as Baumann argues, hangs over all subsequent social science) was critically informed by the filming of the Eichmann trial. More specifically, our understanding of the role of obedience in atrocity was informed as much by Milgram's 1965 film Obedience as by his studies in themselves. We should learn the lesson. We need to bridge the divide between 'science' and 'culture'. If psychology is to thrive we need to find our own ways or re-visioning that which matters to us. Compelling science depends upon us becoming better story tellers. It depends upon us becoming more open to the various modalities through which stories are told. So watch The Eichmann Show. It will be painful. But it will be worth it.